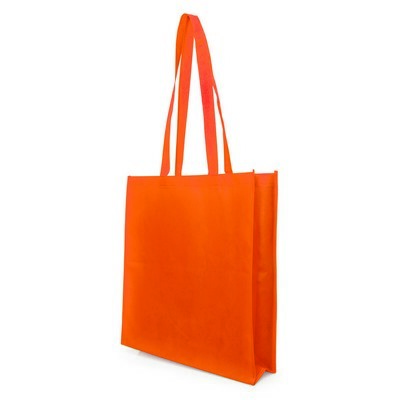 Description: Show your client`s logo wherever their customers go with these brightly coloured non-woven bags. A large print area will guarantee all eyes on their business, making this an essential promotional gift for any work environment. Colours: Orange. Materials: Polyester. Decoration Method: Pad Print. Price includes : Printed - 1 col, 1 pos. Setup is included.